This is the season to give, and I know you are all starting to look for presents to be wrapped under the christmas tree. Of course, finding the gift for a particular person could be hard, and I know we all are girls, need to find something good for that one man in our lives, particularly boyfriend, brother, good guy friend, and foremost Dad. And yes I feel you, that's why i have compiled the gift guide for men, consisting of my favourite items (which I would totally wear if i were a boy), so here it goes! Hope you guys find it useful and happy shopping! On top of that I have picked the winners for my Shop Picnic giveaway. Please wait for my email! These are some great ideas for great gifts!! These are really cool tips. 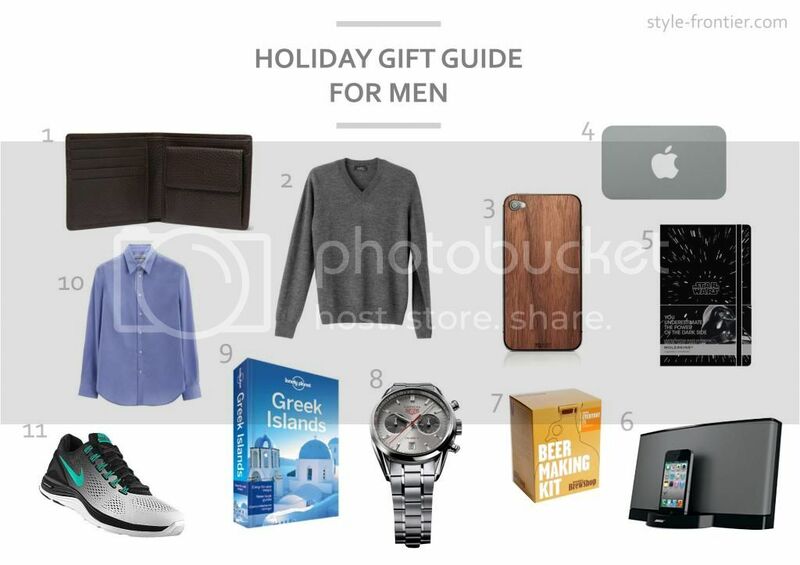 I always have such a hard time buying gifts for men! They are one of my favorite accessories.